Let’s make sure that we have the tools necessary to create amazing, healthy meals. Here’s a dietitian’s list of seven must-have utensils and appliances. When people find out that I’m a dietitian, they often ask some version of this question: “So…what should I be doing differently?” While I used to struggle to respond to such a broad question, I have now prepared an appropriately simple answer: cook more. Cooking is one of the best ways to take control of your health. Sure, restaurants are wonderful and incredibly convenient at times, but they force us to relinquish control over how our food is prepared. When we cook at home, we are in charge! So let’s make sure that we have the tools necessary to create amazing, healthy meals. Here are seven kitchen tools that I consider to be essential for healthy cooking. The workhorse of any healthy kitchen is the cast iron skillet. This tool is a true multitasker. A well-cared-for cast iron skillet can be your grill for cooking fish and marinated vegetables, your griddle for fruit-laden whole wheat pancakes, your wok for endless stir-fry combinations, your roasting pan for chicken with root vegetables, and even your baking pan for whole grain cornbreads. Because your food is being cooked in iron, the iron content of your food actually increases, especially for more acidic foods. You don’t want to rely on your cast iron for your daily iron intake, but it can be a nice insurance policy for those that are concerned that, despite their efforts, they are not getting enough dietary iron. Recommendation: Lodge Cast Iron 12” Skillet — Just the right size and it comes pre-seasoned for a natural nonstick finish. It’ll last a lifetime. Nothing makes you feel like a chef more than dicing an onion with a good quality, sharp chef’s knife. 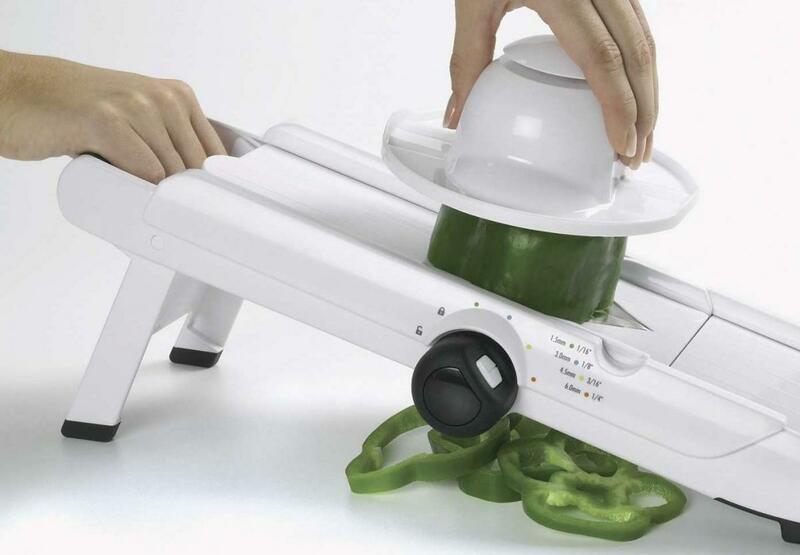 No tool can compare when it comes to dicing bell peppers, mincing cloves of garlic, or coring and slicing an apple. Having a knife that is a joy to use means that you’ll be more likely to spend time chopping veggies. When choosing a chef’s knife, make sure it feels comfortable in your hand and has some weight to it. An 8 to 9-inch stainless steel blade is a good size and won’t rust. Be sure to keep it sharp! Recommendation: Zwilling J.A. 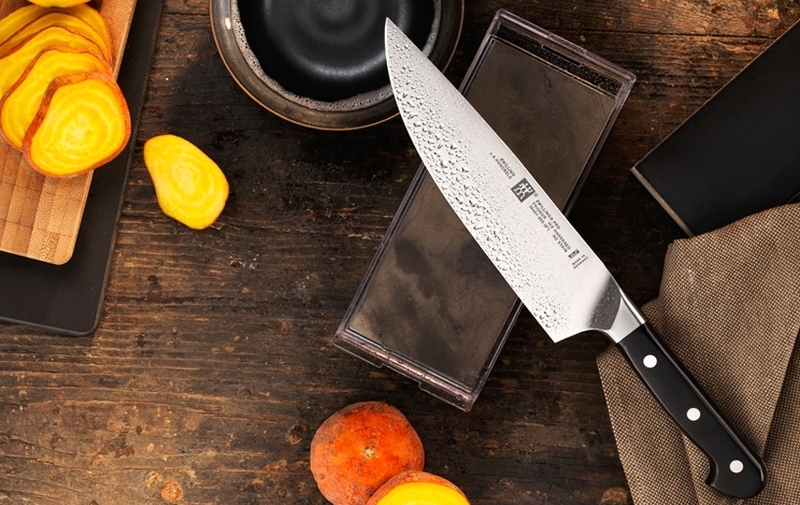 Henckels Twin Signature Chef’s Knife — A well-balanced and comfortable knife with an 8-inch blade. Ready for any task! This tool makes it quick and easy to turn a knobby ginger root into beautiful ginger puree. While ginger has many nutritional benefits on its own, ginger’s greatest benefit may be its ability to make healthy meals taste great. Throw a scoop of ginger puree onto your stir-fry to bring vegetables to life. Toss some in your blender with kale, mango, and coconut water for a healthy smoothie. Cook up a big bowl of carrot ginger soup for an antioxidant-rich dinner. 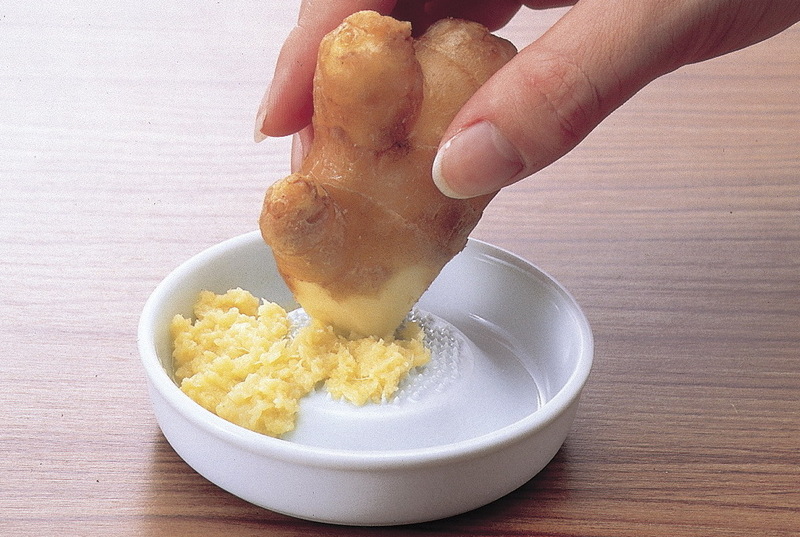 If you’re ever feeling nauseous, this tool really comes in handy because ginger has an anti-nausea effect for many. Pro tip: though it’s marketed as a ginger grater, it is also great for garlic, allowing you to create a garlic paste in seconds. To make clean-up a breeze, lay a sheet of plastic wrap over the top of the grater before grating and then simply lift it up to remove your product. Recommendation: Kyocera Ceramic Ginger Grater — A well-designed product that features a collection bowl for your gratings and a non-slip silicone ring on the bottom. A blender with some serious horsepower can take your healthy cooking to the next level. When we think blender, the first thing that comes to mind is smoothies. 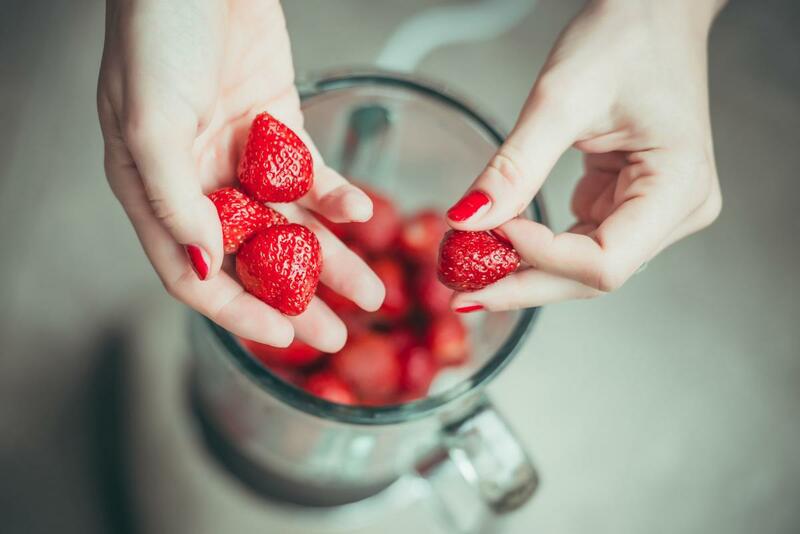 Smoothies are a great way of increasing your fruit and vegetable intake and, unlike juicing, you don’t sacrifice the fiber. With a truly high-powered blender, leaves of kale (stem and all) will mix right in without leaving behind unfortunate, fibrous chunks. But this tool can do so much more than make smoothies: turn nuts into nut butters, make your own non-dairy milks, create homemade sauces and salsas. You can even make whole soups in a blender (that come out hot!). Making these foods at home means we can dial in the perfect flavor for our palette without relying on sugar or sodium to do the heavy-lifting. Recommendation: Vitamix 5200 Standard — enough horsepower to tackle any task and has a variable speed dial so you are constantly in control. It’s pricey, but a good investment in your health. Brief Interruption: I’m a big believer in making healthy eating easy. Food manufacturers have certainly worked hard to make unhealthy eating easy! This pull we feel towards convenience is natural, so let’s make it work for us, not against us. The next three tools on the list I consider to be “convenience tools” in the best way possible. When prepping veggies for a week of healthy eating, no tool offers more convenience than the mandoline. They’re also super fun to use! In seconds you can make perfectly uniform slices or julienned matchsticks of nearly any vegetable. Try scheduling some time on a Sunday to break down your favorite veggies and assemble a few salads for the work week. You’ll thank yourself later. Pro-tip: read the instructions and don’t cut a finger off please. Recommendation: OXO VBlade Mandoline Slicer — easily adjust the thickness of your slices with this mandoline. Has added safety features and is dishwasher safe. In my nutrition practice I’m always talking about setting ourselves up for success. The slow cooker is a great example of this. If you come home to the wonderful aroma of a fully-cooked black bean and vegetable chili, you won’t have to answer the dreaded question, “what’s for dinner?” We never make our healthiest food decisions after a long day of work (when we’re already famished) anyway. The slow cooker is great for creating healthy soups, stews, stocks, and chilis, all loaded with flavor-infused vegetables. Soups are one of the best ways to cram nutrient-dense, flavorful ingredients into your meals. Think: sweet potato, kale, and white bean chowder or a good old-fashioned bowl of tomato basil soup with a slice of whole-wheat bread. Chili is a super healthy dinner when the focus is put on nutrient-packed tomatoes and red peppers with fiber- and protein-rich beans. Recommendation: Crock-Pot Single Hand Cook & Carry 6 Qt. 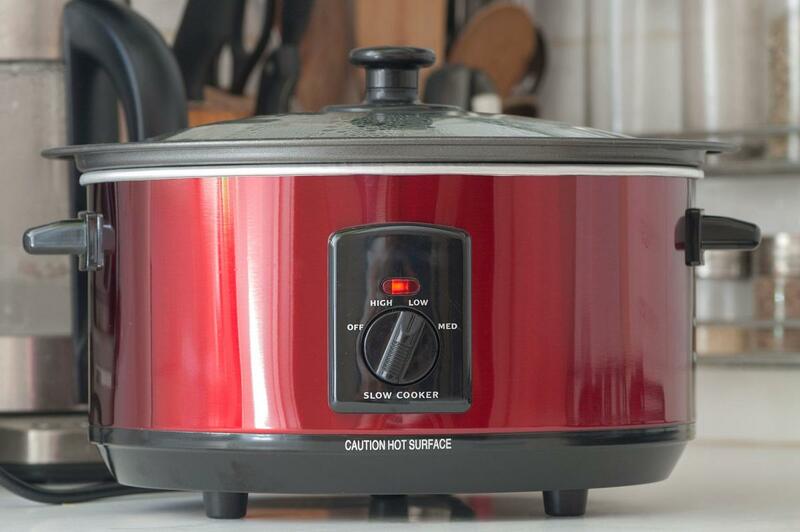 Oval Slow Cooker — features all of the programmable functions you need and is ready to travel for holiday parties. This might not seem like a convenience tool for some, but I would beg to differ. Try thinking about the salad spinner as a way of storing your greens. When you get home from the grocery store, chop your kale, give it a rinse, a few spins and then throw it in the fridge. Now your greens are ready to go for the week. And since they are nice and dry, they won’t go soggy as quickly. Pro tip: toss a few paper towel sheets in with the washed greens before storing them in the fridge to extend their freshness. No other food group packs the punch of leafy green vegetables when it comes to nutrition: high in minerals like potassium and magnesium, rich in vitamin C, K, and folic acid, loaded with beneficial phytonutrients like beta-carotene and lutein, packed with fiber to keep you full, and low in total calories. 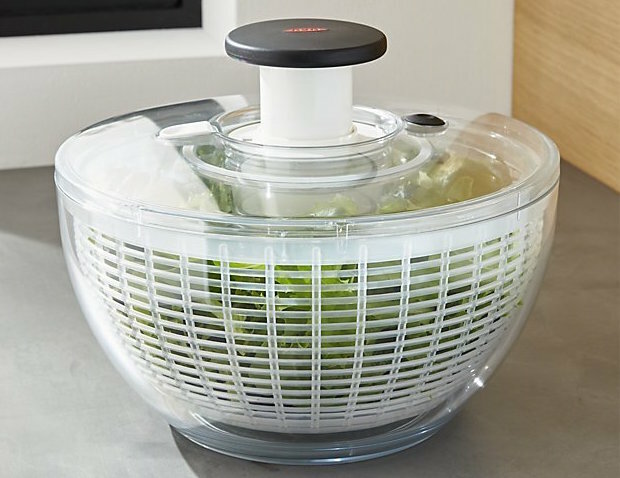 Recommendation: OXO Large Salad Spinner — the large capacity means that you’ll have enough room for all your greens. The pump mechanism works well and will have more longevity than other products that feature pull-strings.